Hope everyone is enjoying the summery days! 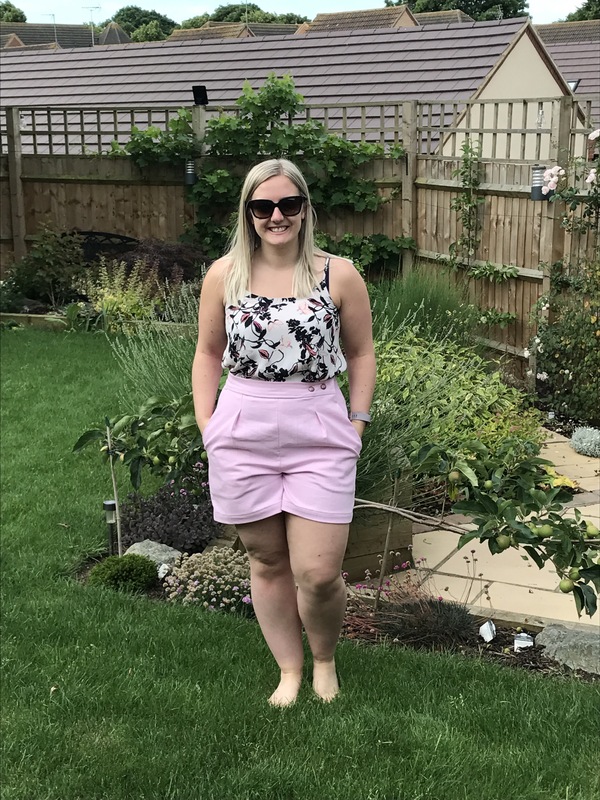 To celebrate the warm weather, I decided to branch out and make something that my wardrobe was in major need of… shorts!! So I have opted for the Megan Nielsen Flint shorts. I have seen a few popping up on Instagram and thought they were nice, but never enough to dive into it for myself. Then randomly, Tilly and the Buttons had a remnants sale of fabric from their kits. I saw their pink denim which people had being using for the Cleo dungarees and I seriously fell in love. I quickly put it into my basket and just had the sudden desire to make the Flint shorts! It’s the only pattern that pinged into my head. 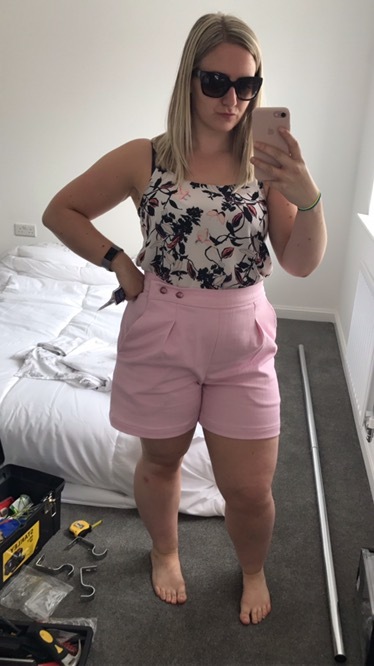 It was like I needed this pink denim to make me see the Flint shorts in a whole new light!! The hot weather was very welcome as I put the prewash on, dried it and cut all the pattern pieces out all after work and did all the sewing the next day. Now I will say I did rush these and they are far from perfect… but I love them. Now one thing I do love is that these shorts are not tight around my thighs. 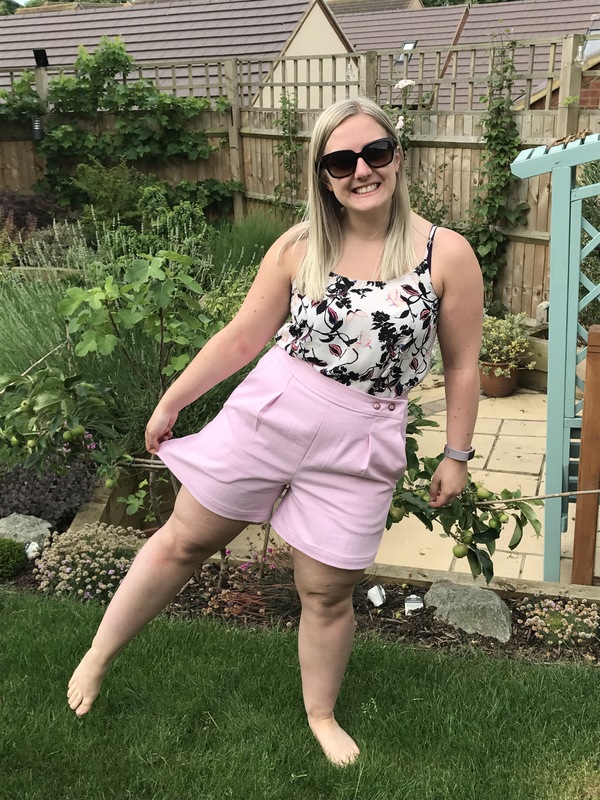 I have always been “thigh dominant” and struggle constantly with shop bought clothes fitting over my thighs, so this was a super happy surprise that they fit so nicely. For a first run I didn’t make any alterations (well that’s a lie… I made one). I just wanted to see how it fitted straight out the pack… so these are a medium, but I did a 1″ hem rather than the specified 2″ hem (I just knew I would feel happier keeping them that little bit longer). They are a little big for me so I might need to take them in, but they are still very wearable! I would also under stitch the pockets in future, as mine keep rolling out, which is super annoying and makes them look much less professional! 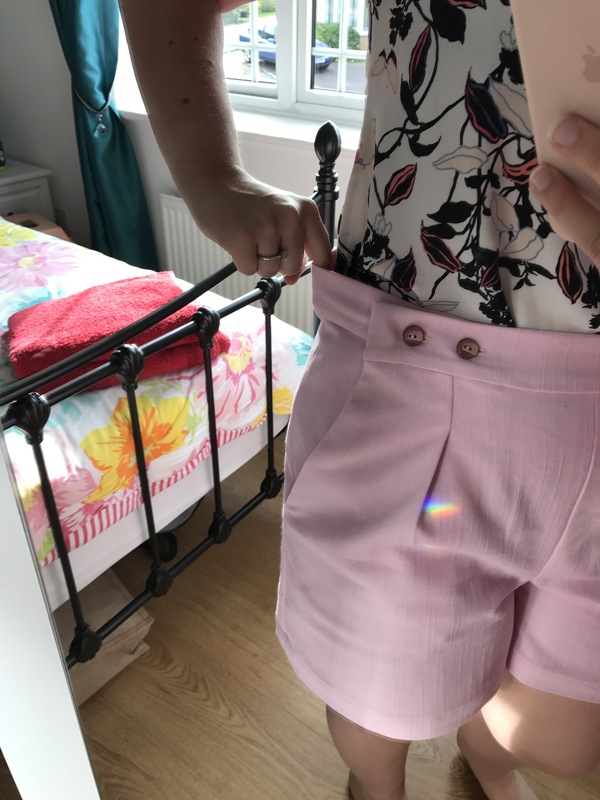 I have to say I really love these shorts and I have worn them quite a few times already (including on moving house day!). I will definitely be sewing up some more Flints in the next few weeks. As always, let me know what you think, and happy sewing. These look fab on you! I too am thigh dominant (great phrase) and tend to steer well clear of shorts but after seeing yours I might be tempted to give it a go! These look fab! Such a flattering cut on you.